- HiPay (ATM, Payshop, Credit Card). After confirming your purchase process in our online store, please always check the "Inbox" of your e-mail or the box “Unsolicited Email", "Junk" or "Spam". 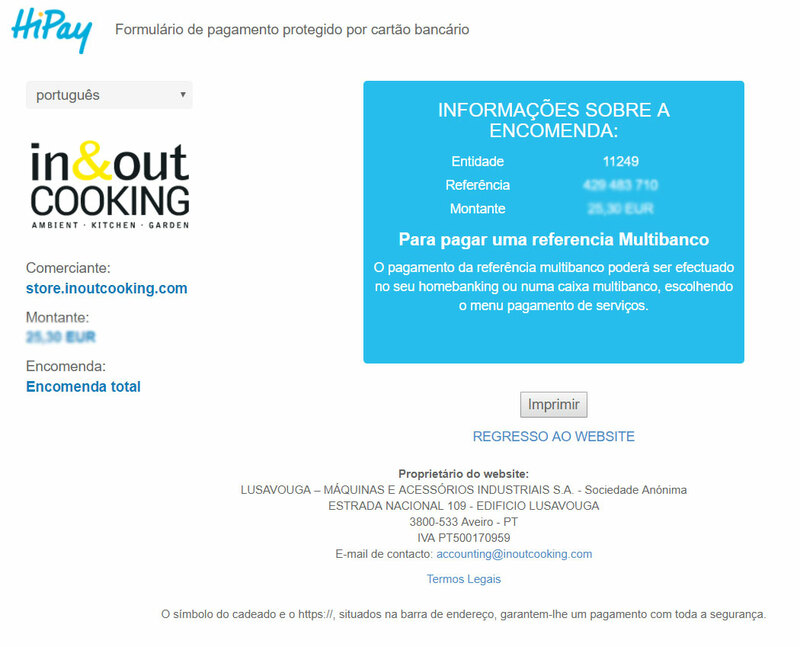 If you choose this payment method, you must send an email to info@inoutcooking.com, with proof of bank transfer and respective reference order. The payment is valid after confirmation of the value by the bank. After the confirmation is given, the order will be dispatched. NOTE: In case of banking transfers, the delivery time is only counted after the receipt and validation. Paypal (globally recognized for the security of it’s transactions) is an easy, fast and secure way to make and receive payments over the Internet. To do this, you need an email address and you must create an account. This has no associated cost. Later, simply associate your credit card or transfer money to your Paypal account. HiPay is a payment solution that facilitates the sale of goods and services. In a simple and secure way, this system works through webservice integration or through the creation of direct debits or the generation of ATM, Payshop and HiPay Wallet (VISA / Mastercard / Maestro card) references. When choosing the option of payment by ATM, the payment reference is issued, according to the amount of your purchase. After payment confirmation, your order will be shipped. This information will also be sent via email along with purchase order confirming. The Payshop is an easy, simple and secure method of making your payments. When selecting Payshop a reference is issued, according to the amount to pay, and sent automatically to your email. This email will be sent by "Hipay.com", the company that manages the references for Payshop. After payment of the reference, an email is automatically sent, stating that the payment was successful. Payment is available in any adherent Payshop store. In any case, it will only be valid by In & Out Cooking after confirmation by Hipay. 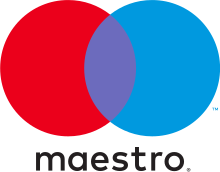 If you choose to pay your orders by credit card (Visa and MasterCard), you can do it safely because, according to the new security rules disseminated by VISA International and the Europay / Mastercard International, since April 1 2001, all applications authorizing the execution of transactions using cards of those systems, can only be processed by Hipay if the security code (CVV2 / CVC2) of the respective card is included in the informations supplied.